My 5th great grandfather – John Goolman DAVIDSON b. abt. 1729 in Ulster Ireland, migrated to US through Pennsylvania, bought land in Rockingham County, Virginia, sold it and moved on to Tazewell County, Virginia. He had about 8 children and his family were one of the founding families of the Tazewell County area and later Bluefield Va/Wv . John Goolman Davidson, who was killed by the Indians in l795. John Goolman DAVIDSON was born 1725 in Ireland. He died 8 Mar 1793 in Wythe County, Virginia. John married Martha DRAPER about 1755. + 2 M i. George DAVIDSON was born about 1756. Martha married George PEERY Capt. George was born about 1757 in Tazewell County, Virginia. He died 9 Nov 1830 in Virginia. + 4 M iii. William DAVIDSON was born 17 Mar 1759 and died after 1836. + 6 F v. Jane DAVIDSON was born about 1763 and died 1819. 7 F vi. Margaret DAVIDSON was born about 1765 in Tazewell County, Virginia. 1765 in Tazewell County, Virginia. + 8 F vii. Nancy DAVIDSON was born 1767 and died 1805. + 9 M viii. Andrew DAVIDSON was born about 1768 and died about 1850. 10 M ix. 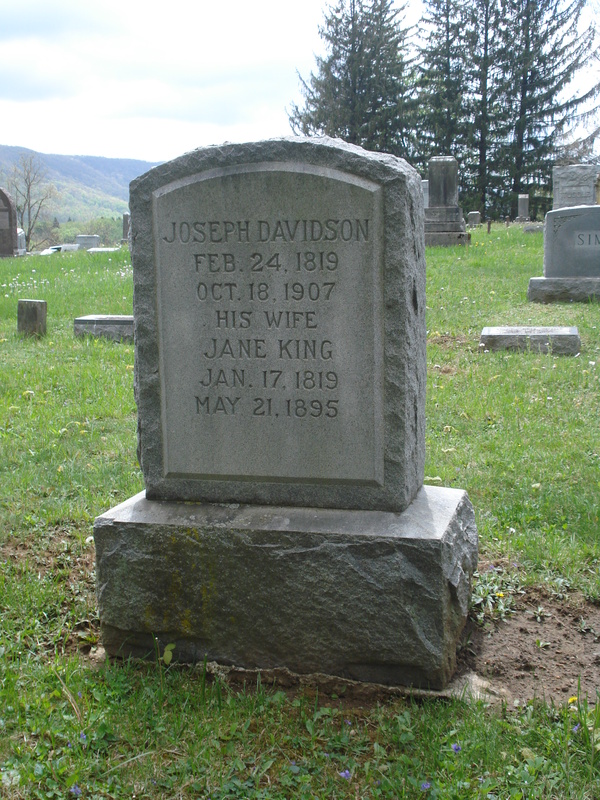 John DAVIDSON was born about 1770 in Tazewell County, Virginia. He died in Bedford County, Tennesse. 11 F x. Elizabeth DAVIDSON was born 1771 in Tazewell County, Virginia. 2. George DAVIDSON (John Goolman) was born about 1756 in Tazewell County, Virginia. about 1760 in Montgomery County, Virginia. 12 M i. George DAVIDSON was born about 1780 in Tazewell County, Virginia. born about 1780 in Tazewell County, Virginia. after 1836 in Tazewell County, Virginia. Virginia. Mary was born 1760. She died 1806 in Tazewell County, Virginia. 13 F i. Elizabeth “Betty” DAVIDSON was born 1782. Elizabeth married John Riley SANSOM Sr on 24 Apr 1797. John was born about 1776. 14 F ii. Margaret DAVIDSON. 15 M iii. William DAVIDSON. 16 F iv. Mary DAVIDSON. 17 M v. Joseph DAVIDSON. Virginia. 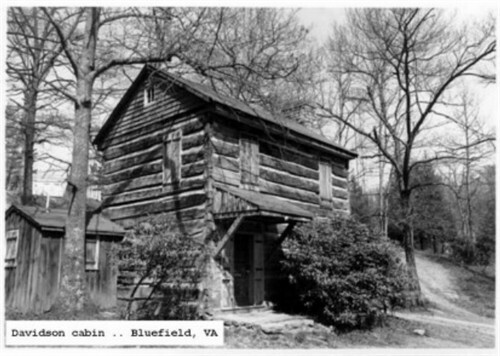 Phebe was born about 1760 in Tazewell County, Virginia. Joseph DAVIDSON (John Goolman) was born 1762 in Pennsylvania. He died 1849 in Virginia. born 1771 in Montgomery County, Virginia. She died after 1851 in Montgomery County, Virginia. + 18 M i. Henry Preston DAVIDSON was born 22 Nov 1790 and died 8 Oct 1841. + 19 M ii. Robert W. DAVIDSON was born about 1791. 20 F iii. Martha “Matty” DAVIDSON was born 1792 in Tazewell County, Virginia. Martha married (1) Howard HAVENS on 30 Mar 1809 in Tazewell County, Virginia. 21 F iv. Jane G. DAVIDSON was born 1792 in Tazewell County, Virginia. Jane married Ancil RICHARDSON on 25 Dec 1817 in Tazewell County, Virginia. Ancil was born about 1801. 22 F v. Nancy DAVIDSON was born 1794 in Virginia. + 23 M vi. William G. DAVIDSON was born 1795. + 24 M vii. 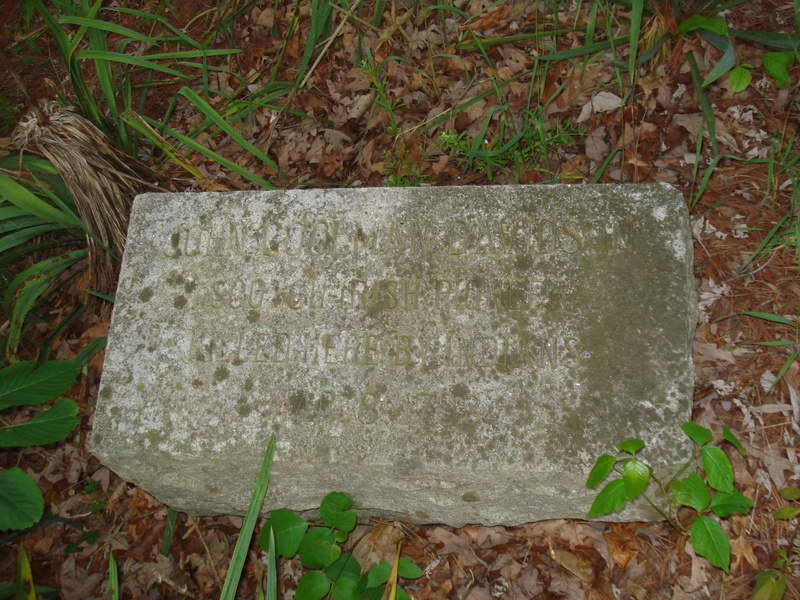 John H. DAVIDSON was born about 1794 and died 18 Nov 1848. + 25 M viii. James Cartmill DAVIDSON was born 12 Mar 1797 and died 1860 to 1870. + 26 M ix. Samuel Patton DAVIDSON was born 1 Jan 1800 and died 8 Aug 1854. 1819 in Tazewell County, Virginia. Jane married Lowe W. BROWN, son of William BROWN and Martha LOWE, on 1 Mar 1782 in Tazewell County, Virginia. 11 Apr 1874 in Pilot Point, Denton County, Texas and was buried in Pilot Point, Denton County, Texas. and was buried in Pilot Point, Denton County, Texas. 28 F i. Martha BAILEY was born 1791 in Virginia. She died 1854 in Tazwell County, Virginia. Martha married “Long” Henry HARMAN, son of Daniel HARMON and Phebe DAVIDSON. about 1850 in Bedford County, Tennessee. about 1768. She died before 1799. 29 M i. Reese DAVIDSON. 30 M ii. John DAVIDSON. born about 1777 in England. 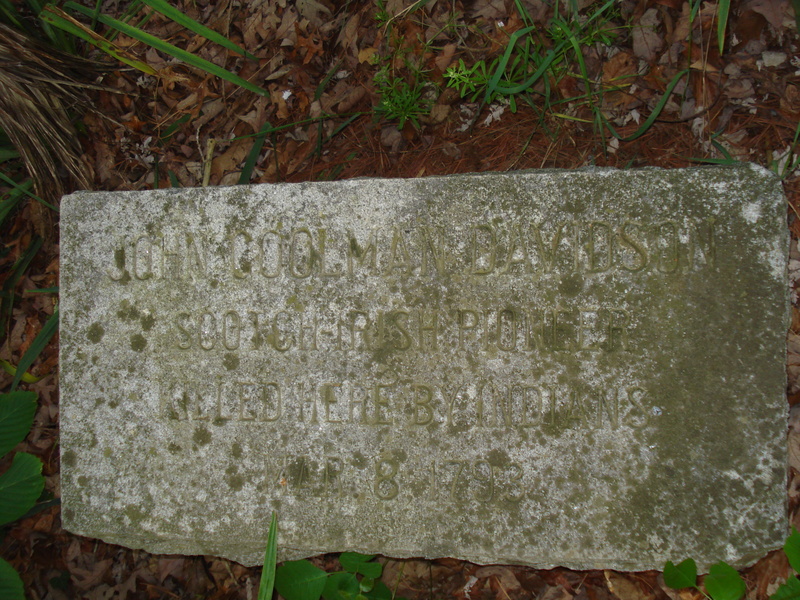 She died after 1850 in Bedford County, Tennessee. 31 M iii. Carlton DAVIDSON. 32 M iv. Richard DAVIDSON was born 1805. + 33 F v. Martha E. DAVIDSON was born 1807. 34 F vi. Rebecca DAVIDSON was born 1809. She died 1868 in Arkansas. Rebecca married Andrew Milton MORRISON. 35 M vii. Andrew P. DAVIDSON. + 36 M viii. Bluford DAVIDSON was born about 1813 and died 14 Apr 1848. + 37 M ix. Hopkins DAVIDSON was born 1816 and died after 1870. + 38 M x. Isaac DAVIDSON was born 25 Apr 1816 and died 1850/1860. 39 M xi. Thomas DAVIDSON was born 1820. 18. Henry Preston DAVIDSON (Joseph, John Goolman) was born 22 Nov 1790 in Tazewell County, Virginia. He died 8 Oct 1841 in Mercer County, Virginia. Henry married Nancy BROWN, daughter of William BROWN and Mary HAVENS, on 25 May 1811 in Virgiinia. Nancy was born about 1792. Virginia. Henry was born 1810 in Virginia. 5 Aug 1899 in Pulaski County, Virginia. 42 F iii. Mary H. DAVIDSON was born 29 Jul 1816. She died in Gentry County, Missouri. County, Virginia. James was born 1814 in Virginia. He died in Gentry County, Missouri. + 44 F v. Martha Jane DAVIDSON was born 28 Jul 1821 and died 1885. 45 M vi. William B. DAVIDSON was born 22 Nov 1823. 46 M vii. Ancil R. DAVIDSON was born 26 Feb 1827 in Tazwell County, Virginia. He died 11 Oct 1861. 47 M viii. John Wesley DAVIDSON was born 21 Feb 1826. He died 21 Feb 1826. 48 F ix. Sarah Ann DAVIDSON was born 27 Apr 1830. Sarah married George Pearis GEORGE. + 49 M x. Robert Alexander DAVIDSON was born 19 Dec 1832.19. Robert W. DAVIDSON (Joseph, John Goolman) was born about 1791 in Tazewell County, Virginia. 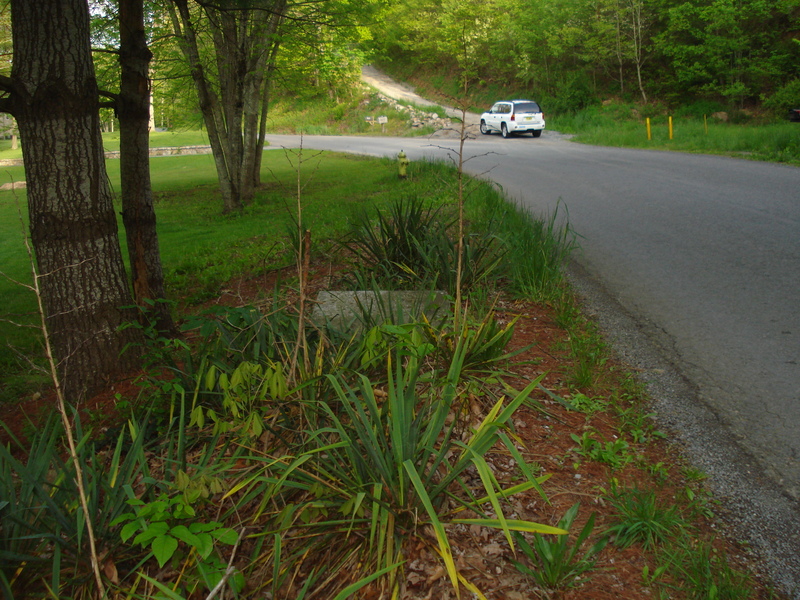 in Tazwell County, Virginia. Mary was born 1802 in Tazewell County, Virginia. + 51 M ii. Erastus Granger DAVIDSON was born 1828. 52 F iii. Louisa Jane DAVIDSON was born 1830 in Virginia. 23. William G. DAVIDSON (Joseph, John Goolman) was born 1795 in Tazewell County, Virginia. 53 M i. Greenville DAVIDSON was born about 1823. + 54 M ii. Joseph DAVIDSON was born about 1823. 55 F iii. Ann DAVIDSON was born about 1825. 56 M iv. Wynn DAVIDSON was born about 1826.
was born about 1793 in Tazewell County, Virginia. 57 F v. Matilda DAVIDSON was born 1837 in Virginia. 58 M vi. Howard Haven DAVIDSON was born about 1838 in Tazewell County, Virginia. 59 M vii. Henry DAVIDSON was born 1840. He died 1921. Henry married Lucinda Jane DANGERFIELD on 1861. Lucinda was born 1844. She died 1921. Virginia. She died after 1850 in Virginia. 60 M i. James DAVIDSON was born about 1820. + 61 M ii. Zacharias Whitten DAVIDSON was born 15 Apr 1822 and died 27 Feb 1904. 62 F iii. Virginia DAVIDSON was born 1820 to 1830 in Virginia. She died in Missouri. Virginia married Thomas WARREN. Thomas was born about 1817 in Virginia. He died in Missouri. 63 F iv. Eleanor Matilda DAVIDSON was born 26 Jan 1826 in Tazwell County, Virginia. She died 2 Feb 1889 in Abington, Washington County, Virginia. Eleanor married (1) William FIELDS Sr on 2 Feb 1841. Eleanor also married (2) Thomas W. WITTEN on 22 Nov 1866. 64 F v. Elizabeth DAVIDSON was born 1830 in Mercer County, Virginia. Elizabeth married Thomas Dickenson BOYD on 7 Jun 1854. + 65 M vi. Thomas Catlett DAVIDSON was born 23 Nov 1831 and died 9 Jul 1862. 66 F vii. Mary Rebecca DAVIDSON was born 1 Sep 1842 in Mercer County, Virginia. She died 29 Sep 1922. Mary married Jeremiah Campbell RUSH on 28 Dec 1865. 25. James Cartmill DAVIDSON (Joseph, John Goolman) was born 12 Mar 1797 in Tazewell County, Virginia. He died 1860 to 1870 in Tazewell County, Virginia. 1853 in Tazwell County, Virginia. 67 M i. William B. DAVIDSON was born about 1830 in Tazewell County, Virginia. William married Isabella RICE on 6 Oct 1892 in Mercer County, Virginia. Isabella was born about 1830. 20 Jan 1869 in Tazwell County, Virginia. Cassandra was born 1846 in Tazewell County, Virginia. 69 F iii. Matilda Jane DAVIDSON was born 29 Oct 1833 in Virginia. She died 16 Apr 1876. Tazewell County, Virginia. James was born 1830 in Virginia. 70 M iv. John Allen DAVIDSON was born 1836 in Virginia. John married Martha Jane HARMON on 24 Dec 1872. 71 F v. Mary DAVIDSON. Montgomery County, Virginia. He died 9 Dec 1874 in Bland County, Virginia. James also married (2) Catherine BAILEY after 1853. 26. Samuel Patton DAVIDSON (Joseph, John Goolman) was born 1 Jan 1800 in Tazewell County, Virginia. He died 8 Aug 1854 in Floyd County, Kentucky. 1874 in Floyd County, Kentucky. 72 M i. Alexander Lackey DAVIDSON was born 29 Jun 1829 in Floyd County, Kentucky. He died 1911 in Floyd County, Kentucky. in Floyd County, Kentucky. She died 1900 in Floyd County, Kentucky. 73 F ii. Mary Matilda DAVIDSON was born 16 Dec 1832 in Tazewell County, Virginia. She died 17 Mar 1901 in Tazwell County, Virginia. was born 28 Jan 1829 in Prestonburg, Kentucky. He died 3 May 1903 in Tazwell County, Virginia. 74 F iii. Elizabeth Jane DAVIDSON was born 15 May 1834 in Floyd County, Kentucky. She died 21 Sep 1875. Elizabeth married Thomas R. HILL on 29 Dec 1850 in Floyd County, Kentucky. Thomas was born 1824. 9 Sep 1882 in Floyd County, Kentucky. in Floyd County, Kentucky. She died 11 May 1888. 76 F v. Martha Ann DAVIDSON was born 1839 in Kentucky. She died 31 Aug 1915. 5 Sep 1860 in Floyd County, Kentucky. “Wick” was born 26 Jun 1834. He died 7 Mar 1892. + 77 M vi. Greenville Robert DAVIDSON was born 8 Dec 1842 and died 20 Nov 1907. 78 M vii. Andrew Jackson DAVIDSON was born 8 May 1845 in Floyd County, Kentucky. Andrew married (1) Josephine Harmiston MARTIN on 20 Sep 1893. Josephine was born 7 May 1857. She died 17 May 1926. Andrew also married (2) Belle STARKE. 79 F viii. Victoria Virginia DAVIDSON was born 22 Jan 1848. She died 24 May 1888. Victoria married George HATCHER on 8 Oct 1867. George was born 1842. + 80 M ix. John Preston Martin DAVIDSON was born 6 Sep 1852 and died 1936. 81 M x. Samuel Patton DAVIDSON Jr. was born 6 Sep 1854 in Floyd County, Kentucky. He died 15 Sep 1931 in Prestonburg, Floyd County, Kentucky. born 5 Dec 1863. She died 10 Jun 1960 in Prestonburg, Kentucky. 33. Martha E. DAVIDSON (Andrew, John Goolman) was born 1807 in Kentucky. She died in Bowie County, Texas. about 1804 in Virginia. He died before 1870 in Bowie County, Texas. 82 M i. Thomas ELLIOTT. 83 M ii. Samuel ELLIOTT. 84 F iii. Jane ELLIOTT. 85 F iv. Sarah ELLIOTT. 86 M v. Westley ELLIOTT. 87 M vi. Cannon ELLIOTT. 88 M vii. Isaac ELLIOTT. 89 F viii. Virginia ELLIOTT. 90 ix. F. Muse ELLIOTT. 91 F x. California ELLIOTT. 92 M xi. Andrew Harrison ELLIOTT was born 25 Dec 1827 in Bedford County, Tennessee. He died in in the south of, Texas. Bluford married Susan Jane WHITE. Susan was born 10 Jul 1816 in Tennessee. + 93 M i. Thomas (James Thomas? – Thomas Andrew ?) DAVIDSON was born 29 Oct 1834. 94 F ii. Ann DAVIDSON was born 1836 in Tennessee. 95 F iii. Sarah DAVIDSON was born 1838 in Tennessee. 96 F iv. Martha E. DAVIDSON was born 1840 in Tennessee. was born 1838 in Bartholomew County, Indiana. He died 3 Apr 1892 in Lauderdale County, Alabama. 97 F v. Tennessee V. DAVIDSON was born 1842 in Tennessee. Tennessee married Lucifus A. (L.S.P.V.A.) FARRAR on 22 Nov 1866 in Bedford County, Tennessee. Lucifus was born 1839 in Tennessee. 98 M vi. Isaac Carr DAVIDSON was born 1845. 99 M i. Samuel M. DAVIDSON was born 1839 in Tennessee. 100 F ii. Effeneth L. (Effie) DAVIDSON was born 1841 in Texas. 101 F iii. Charlotte (Luticia Charlotte) DAVIDSON was born 1844 in Texas. 102 F iv. Lockey J. DAVIDSON was born 1847 in Texas. Lockey married Isaac CLOUD on 30 Mar 1869 in Cooke County, Texas. Isaac was born 1847 in Alabama. 103 M v. Buford D. DAVIDSON was born Dec 1849 in Texas. He died before 1910.
in prob, Bedford County, Tennessee and was buried in Richmon, Tennessee. Isaac married Martha R. SMITH before 1845. Martha was born 1829 in Tennessee. 104 M i. William Barksdale DAVIDSON was born 1845 in Bedford County, Tennessee. 105 F ii. Georgianna A. DAVIDSON was born 1848 in Bedford County, Tennessee. Georgianna married R. T. HARDISON on 14 Oct 1868 in Bedford County, Tennessee (IGI). 106 M iii. John DAVIDSON was born 1851 in Bedford County, Tennessee. 107 F iv. Alice DAVIDSON was born 1853 in Bedford County, Tennessee. Alice married J. P. CARLISLE. 108 F v. Mary DAVIDSON was born 1856 in Bedford County, Tennessee. Mary married W. E. GRANT. 109 F vi. Mattie DAVIDSON. 110 F vii. Sarah DAVIDSON. West Virginia and was buried in Walnut Grove Cemetery, Bluefield, Mercer County, West Virginia. 111 F i. Julia A. DAVIDSON was born 1846 in Virginia. 112 F ii. Hannah Matilda DAVIDSON was born 1848 in Virginia. 44. Martha Jane DAVIDSON (Henry Preston, Joseph, John Goolman) was born 28 Jul 1821. She died 1885. Oct 1805 in Virginia. He died 23 Mar 1870. 113 F i. Nancy M. CROCKETT was born 1843 in Tazewell County, Virginia. 114 F ii. Adeline CROCKETT was born 1845 in Tazewell County, Virginia. 115 F iii. Cassandra CROCKETT was born 1846 in Tazewell County, Virginia. 1869 in Tazwell County, Virginia. Henry was born about 1832 in Tazewell County, Virginia. He died 1886 in Mercer County, Virginia. 116 F iv. Eliza J. CROCKETT was born 1849 in Tazewell County, Virginia. 49. Robert Alexander DAVIDSON (Henry Preston, Joseph, John Goolman) was born 19 Dec 1832. 117 M i. William H. DAVIDSON was born 31 Dec 1856 in Mercer County, Virginia. He died 10 Dec 1880 in Gentry County, Virginia. 118 M ii. Peter Franklin DAVIDSON was born 11 May 1859 in Tazewell County, Virginia. He died 11 May 1920 in St Joseph, Missouri. 22 Apr 1872 in Gentry County, Missouri. 120 M iv. Robert Alexander DAVIDSON Jr was born 10 Oct 1863 in Gentry County, Missouri. He died 18 May 1871 in Gentry County, Missouri. 28 Dec 1942 in Gentry County, Missouri. 122 F vi. Julia Nickatti DAVIDSON was born 9 Sep 1874 in Gentry County, Missouri. She died 14 May 1927 in Dekalb, Missouri. 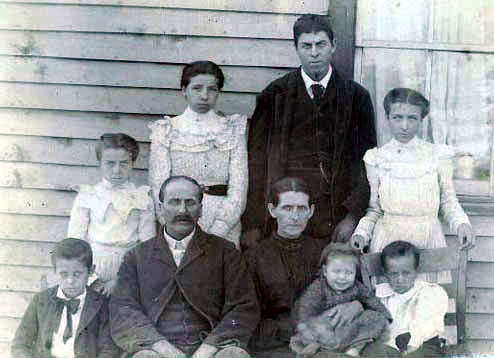 EG and Eliza Gregory Davidson and Family. 51. Erastus Granger DAVIDSON (Robert W., Joseph, John Goolman) was born 1828 in Virginia. (Uncle and Namesake of my g-gf EGD. Erastus married Sarah A.. Sarah was born 1837 in Virginia. 123 M i. Thomas DAVIDSON was born 1865 in Wythe County, Virginia. 124 F ii. Mary F. DAVIDSON was born 1867 in Wythe County, Virginia. 125 M iii. Robert J. DAVIDSON was born 1868 in Wythe County, Virginia. 126 M iv. Stephen DAVIDSON was born Jan 1870 in Wythe County, Virginia. Virginia. He died in Gentry County, Missouri. Joseph married Permisia (or Permecia) CULP on 3 Aug 1875 in Tazwell County, Virginia. 127 M i. Lilburn J. DAVIDSON was born 1849 in Gentry County, Missouri. He died in Albany, Missouri. born 1857 in Papinsville, Missouri. She died 7 Dec 1937 in Albany, Missouri. 128 M ii. William DAVIDSON was born 1854 in Gentry County, Missouri. 129 F iii. Martha DAVIDSON was born 1856 in Gentry County, Missouri. 130 F iv. Nancy DAVIDSON was born 1859 in Gentry County, Missouri. 131 M v. Joseph E. DAVIDSON was born 1862 in Gentry County, Missouri. 132 F vi. Cozby E. DAVIDSON was born 1867 in Gentry County, Missouri. County, Virginia. He died 27 Feb 1904 in Greenville, Hunt County, Texas. was born 4 Dec 1827 in Virginia. She died 30 Jul 1875 in Moccasin Gap, Scott County, Virginia. + 133 M i. William Henderson DAVIDSON was born 30 Dec 1845 and died Oct 1922. 134 F ii. Elizabeth T. DAVIDSON was born 20 Jul 1848 in Gate City, Scott County, Virginia. She died 17 Aug 1915 in Greenville, Hunt County, Texas. Elizabeth married Isaac H. DRAPER on 14 Nov 1865. 135 F iii. Eleanor F. DAVIDSON was born 3 May 1852 in Gate City, Scott County, Virginia. She died Feb 1864 in Virginia. 136 M iv. John McClain DAVIDSON was born 19 Nov 1855 in Gate City, Scott County, Virginia. John married Martha A. “Mattie” RICHMOND on 28 Jun 1877 in Scott County, Virginia. Kate married Calvin J. MELTON. Virginia. He died 24 Sep 1939 in Kinser Community, Hunt County, Texas. Virginia. He died in San Pedro, Los Angeles County, California. Virginia. He died 26 Feb 1939 in Greenville, Hunt County, Texas. Robert married Beulah Ella PARCHMAN about 1889. Virginia. He died in Greenville, Hunt County, Texas. Zacharias also married (2) Martha E. Justice MOXLEY on 15 Dec 1880. County, Virginia. He died 9 Jul 1862 in Richmond, Virginia. Thomas married Amanda Craig BRADLEY on 6 Aug 1857. 142 M i. Milton Heiskell DAVIDSON was born 13 May 1858 in Washington County, Virginia. He died 21 Mar 1921 in Abington, Virginia. Milton married Eleanor Josephine BRAGG on 17 Feb 1886. 143 M ii. J. Trigg Campbell DAVIDSON was born 1860 in Washington County, Virginia. He died 1862 in Washington County, Virginia. 144 M iii. Thomas Catlett DAVIDSON Jr was born 29 Jul 1862 in Washington County, Virginia. He died 6 May 1881. Floyd County, Kentucky. He died 20 Nov 1907 in Prestonburg, Floyd County, Kentucky. Kentucky. She died 7 Nov 1918. Nellie also married (2) Richard WILKENSON after 1903. 80. John Preston Martin DAVIDSON (Samuel Patton, Joseph, John Goolman) was born 6 Sep 1852. John married Judith MARTIN. Judith was born 1861. She died 1917. 146 F i. Martha DAVIDSON was born Feb 1880. 29 Oct 1834 in Fairfield, Bedford County, Tennessee. Thomas married Louisa J. SNELL. Louisa was born 1844 in Tennessee. 147 M i. Wiliam DAVIDSON was born 1863 in Bedford County, Tennessee. 148 F ii. Elizabeth “Bettie” DAVIDSON was born 1865 in Bedford County, Tennessee. 149 F iii. Ruga DAVIDSON was born 1867 in Bedford County, Tennessee. 150 F iv. Addie L. DAVIDSON was born 1869 in Bedford County, Tennessee. Dec 1845 in Estillville, Scott County, Virginia. He died Oct 1922 in Muskogee County, Oklahoma. 1933 in Muskogee County, Oklahoma. Texas. He died 12 Oct 1878 in Cumby, Hopkins County, Texas. Texas. She died 1 Sep 1973 in Montrose, California. Fay married Robert Ernest COOK on 29 Oct 1902 in Muskogee, Indian Territory, Oklahoma. 153 M iii. Phillip Buford DAVIDSON was born 15 Sep 1884 in Cumby, Hopkins County, Texas. He died 4 Feb 1940 in Muskcogee, Muskogee County, Oklahoma. Phillip married Jennie MATHEWS in El Paso County, Texas. 154 M iv. Albert Henderson DAVIDSON was born 1 Mar 1887 in Cumby, Hopkins County, Texas. He died 17 Nov 1960 in Muskogee, Muskogee County, Oklahoma. Albert married Gladys HARGROVE on 26 Dec 1912 in Muskogee County, Oklahoma. William also married (2) Gladys HARGROVE. 155 M v. Albert Henderson DAVIDSON was born 1 Mar 1887 in Cumby, Hopkins County, Texas. JAN 1804 in Virginia. He was born ABT. 1779 in Virginia. born ABT. 1782 in Virginia. 5. Thomas D. PEERY was born 27 APR 1784 in Tazewell County, Virginia. 6. Martha G. PEERY was born 13 JAN 1786 in Tazewell County, Virginia. She married James B.
CARROLL 30 NOV 1809 in Virginia. He was born ABT. 1786 in Virginia. Ambrose HALL, son of William HALL. He was born ABT. 1789 in Virginia. 1813 in Virginia. She married William WITTEN 4 AUG 1821 in Virginia. He was born in Virginia. and died 1856 in Russell County, Virginia. in Tazewell Co., Va. He was born ABT. 1790. She married Howard Bane 12 JAN 1837 in Tazewell Co., Va. He was born ABT. 1790. 2. Robert W. Davidson was born ABT. 1791 in Tazewell Co., Va.
3. Henry P. Davidson was born ABT. 1792 in Tazewell Co., Va, and died in Mercer Co., VA.
4. William G. Davidson was born ABT. 1793 in Tazewell Co., Va.
5. John Davidson was born ABT. 1794 in Virginia, and died 18 NOV 1848 in Washington Co., Va.
8. Jane G. Davidson was born ABT. 1801 in Tazewell Co., Va.
1757). Descendants lived in Virginia, West Virginia, Texas, Montana, Tennessee and elsewhere. 37 i. Isaac Brown was born AFT. 1782. 38 ii. Polly Brown was born AFT. 1782. 39 iii. John Brown was born AFT. 1782. 40 iv. Martha Brown was born AFT. 1782. 41 v. William Brown was born AFT. 1782. 42 vi. Andrew D. Brown was born AFT. 1782. 43 vii. Sarah Brown was born AFT. 1782. 44 viii. George D. Brown was born AFT. 1782. 45 ix. Joseph Brown was born AFT. 1782. 46 x. Low Brown was born AFT. 1782. 47 xi. Cynthia Brown was born AFT. 1782. 48 xii. Jane Brown was born AFT. 1782. 50 i. William Burke was born AFT. 1787. 51 ii. Clara Burke was born AFT. 1787. 52 iii. Martha Burke was born AFT. 1787. 53 iv. Thomas Burke was born AFT. 1787. 54 v. Nancy Burke was born AFT. 1787. 55 vi. Mary Burke was born AFT. 1787. 56 vii. Rebecca Burke was born AFT. 1787. 57 viii. Margaret Burke was born AFT. 1787. 58 ix. Rachel Burke was born AFT. 1787. 59 x. Andrew Burke was born AFT. 1787.
the sugar making season, and a few days after her husbands departure for Smithfield, Mrs.
condition, and unfit to undertake the long and fatiguing trip she was required to make. she was found and rescued by her husband in the fall of 1794. Two years after her capture Mr.
noticed a woman passing him, as he entered the house, but merely bowed to her and went in. ‘Well, who is he?,’ said the French lady. Virginia, and Mercer County, West Virginia. (1) Bickley, History of Tazewell County, VA, 1853. Shannon Burgess in Lawrence Co. KY.
Child of Elizabeth “Betty” DAVIDSON and John Riley SANSOM , Sr.
ABT. 1813 in Tazewell Co., Va. She married Addison Crockett ABT. 1835. He was born ABT. 1813. 1. Nancy Matilda Crockett was born ABT. 1836. 2. Adelia Stras Crockett was born ABT. 1838. 3. Cassandra Crockett was born ABT. 1840 in Tazewell Co., VA.
4. Eliza Jane Crockett was born ABT. 1842. 5. Robert Addison Crockett was born ABT. 1844. 6. John Henry Crockett was born AFT. 1846. 7. Sarah Ann Crockett was born AFT. 1848. 8. Eldrid King Crockett was born AFT. 1850. 9. Ella Crockett was born AFT. 1852. 10. Joseph Crockett was born AFT. 1854. 1. William Davidson was born AFT. 1840. 2. Peter Davidson was born AFT. 1840.
died in Gentry Co., MO. 2. Mary Dills was born AFT. 1840. 3. Peter Dills was born AFT. 1840. 4. Rebecca Dills was born AFT. 1840. 5. Cynthia V. Dills was born AFT. 1840. 6. James N. Dills was born AFT. 1840. 7. Laura Dills was born AFT. 1840. 6. Mary Davidson (Henry P. Davidson3, Joseph Davidson2, John Goolman Davidson1) was born ABT. 1. Nancy J. Dills was born AFT. 1840. 2. Henry P. Dills was born AFT. 1840. 3. Jefferson Dills was born AFT. 1840. 4. Sarah A. Dills was born AFT. 1840. 5. Joseph Dills was born AFT. 1840. 1. Julia Ann Davidson was born ABT. 1840. 2. Hannah M. Davidson was born ABT. 1840. 3. Ancil Crockett Davidson was born ABT. 1840. 4. Charles N. Davidson was born ABT. 1840. 5. William A. Davidson was born ABT. 1840. 6. George T. Davidson was born ABT. 1840. From LDS Ancestral File and “Archives of the Pioneers of Tazewell Co. VA”. 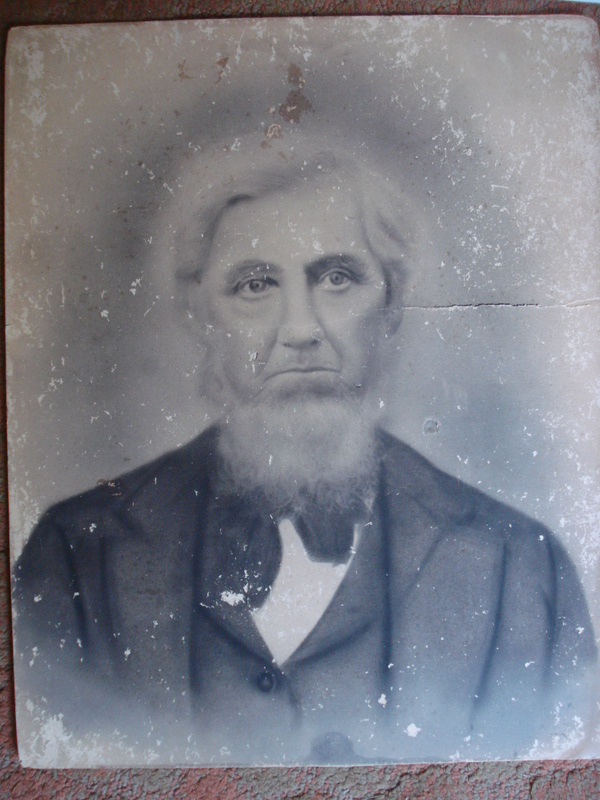 i. Alexander Lackey Davidson was born 29 JUN 1829 in Floyd Co. KY, and died 1911 in Floyd Co.
KY. He married Loula Walsh. She was born 1838 in Floyd Co. KY, and died 1900 in Floyd Co. KY.
ii. 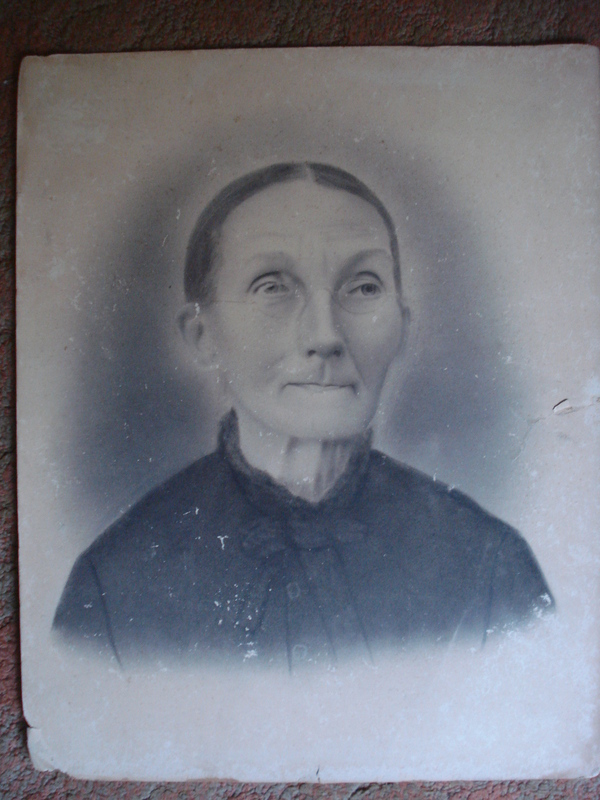 Mary Matilda Davidson was born 1832 in Floyd Co. KY, and died 1896 in Tazewell County, VA.
iii. Elizabeth J. Davidson was born 15 MAY 1834 in Floyd Co. KY, and died 21 SEP 1875.
v. Martha Davidson was born 1839. 20 NOV 1907 in Prestonsburg, KY.
viii. Victoria V. Davidson was born 1846, and died 24 MAY 1888.
ix. John P. M. Davidson was born 1850, and died AFT. 1920.
x. Samuel Patton Davidson , Jr. was born 6 SEP 1854, and died 15 SEP 1931. 28 JAN 1829 in Prestonsburg, KY, and died 1903 in Tazewell County, VA.
1. Byrd May was born ABT. 1866 in Tazewell, VA, and died in Tazewell, VA.
2. Samuel Davidson May was born ABT. 1868 in Tazewell, VA, and died in Tazewell, VA.
3. Andrew Jackson May , Jr. was born ABT. 1870 in Tazewell, VA, and died in Tazewell, VA.
married ? Steele. He was born ABT. 1872 in Virginia. in Floyd Co. KY. He was born 1824, and died 1854. 1. Alexander L. Hill was born 14 FEB 1852, and died 21 JUN 1871. 2. Samuel Spencer Hill was born 1853, and died 1901. 1. Mary Sally Davidson was born 1 APR 1856 in Floyd Co. KY, and died 30 JAN 1935 in Floyd Co. KY.
2. Alice Gray Davidson was born 23 NOV 1857 in Prestonsburg, Floyd Co., KY.
1946 in Floyd Co. KY.
born AFT. 1857 in Floyd Co., KY.
and died 7 MAR 1892. 1933 in West Liberty, Morgan Co., KY.
born 8 DEC 1842 in Floyd Co. KY, and died 20 NOV 1907 in Prestonsburg, KY. He married Laura A.
Floyd Co. KY, and died 8 JUL 1915 in Prestonsburg, KY.
2. Mary Davidson was born ABT. 1871, and died AFT. 1900. 3. Judith L. Davidson was born APR 1874, and died AFT. 1910. 4. Eliza Davidson was born ABT. 1877, and died AFT. 1900. 5. David Davidson was born OCT 1880, and died BEF. 1900. 6. Victoria V. Davidson was born JUN 1885, and died AFT. 1900. 7. Nellie C. Davidson was born NOV 1887, and died AFT. 1900.
born 1846, and died 24 MAY 1888. She married George W. Hatcher. He was born ABT. 1842. 1. Samuel James Hatcher was born ABT. 1868. Co. KY. She was born 1880 in Floyd Co. KY.
born 1850, and died AFT. 1920. He married Judith. She was born ABT. 1860. 1. Martha Davidson was born FEB 1880. 7 FEB 1907 in Prestonsburg, KY. He was born 1882 in Kanawha Co. W.Va..
2. Maggie Davidson was born JUL 1889. 3. Juda Lackey Davidson was born MAR 1891. She married George T. Roberts. He was born ABT. 1889. 4. Alex Davidson was born MAR 1893. He married Alta. She was born ABT. 1895. 5. James M. Davidson was born JAN 1895. 6. Willie B. Davidson was born JAN 1897. 7. Ellen Douglas Davidson was born MAR 1899. 40 viii. Mary Elizabeth Davidson was born ABT. 1901, and died 16 SEP 1931. 41 ix. Josephine Davidson was born 1903. 42 x. Virginia Davidson was born 1907. 1860 Floyd County, Kentucky p125/Dw157/Prestonburg P.O. 1860 Bedford County, Tennessee p268/Dw674/Western Div/20th Dist/Richmond P.O. 1870 Bedford County, Tennessee p359/Dw172/Shelbyville P.O. 1860 Lamar County, Texas p126b/Dw104/Paris P.O. four months, five days.’ Birth date is calculated. 1860 Bedford County, Tennessee p263/Dw612/West Div 19th District/Belfast P.O. 1870 Bedford Co, Tenn p341/Dw88/Civil District 19/Palmetto P.O. 2. Hannah Matilda Davidson was born 4 SEP 1848. She married George W. Fanning 21 JAN 1875. DEC 1906. He married Elizabeth M. Miller 7 OCT 1885. 4. Charles Henry Davidson was born 28 OCT 1855, and died 30 DEC 1908. 14 OCT 1891, daughter of William Taylor Moore and Mary Bowen Barnes. She died 11 NOV 1954. 1870 Gentry County, Missouri p601/Dw246/Howard Township/Albany P.O. 1860 Gentry County, Missouri p743/Dw624/Township 63/Albany P. O. 1870 Gentry County, Missouri p528/Dw76/Athens Township/Albany P.O. 1870 Scott County, Virginia p387/Dw1130/Estillville P.O. 1860 Morgan County, Kentucky p554/Dw677/West Liberty P.O. 1. Samuel Davidson MAY was born 17 Jan 1856, and died 11 Apr 1913 in ,Tazewell Co,VA. 2. James A MAY was born ABT 1858, and died 19 1862. 5. Byrd MAY was born 1862 in W. LibertyMorgan Co,KY, and died 1896 in ,Tazewell Co,VA. 6. Evans Lackey MAY was born 1871, and died 29 Aug 1884. 1860 Morgan County, Kentucky p553/Dw672/West Liberty P.O. 1. Mary “Sally” DAVIDSON was born 1 Apr 1856 in ,,KY, and died 30 Jan 1935. 2. Alice Gray DAVIDSON was born 23 Nov 1857, and died 1932. 4. Anna Martha DAVIDSON was born 23 Jan 1864, and died 1885. She married Jacob SCHUMACHER. She married T. G. PADGETT. 1860 Morgan County, Kentucky p553/Dw665/West Liberty P.O. 2. John Rebel KENDALL. He married Amelia SEITZ 1916. 1. David DAVIDSON was born 25 Jan 1868, and died BEF 1880. 2. Joseph Morgan DAVIDSON was born 5 Oct 1868, and died 1946. 3. Mary DAVIDSON was born Jan 1871, and died AFT 1900. 4. Judith L DAVIDSON was born 6 Apr 1874, and died AFT 1910. She married Samuel KELSO. 5. Eliza “Lida” DAVIDSON was born 29 Jul 1879, and died 13 Jun 1965 in Prestonburg,,KY. 6. Nellie Bly C. DAVIDSON was born 29 Nov 1880 in Prestonburg,,KY, and died 7 Nov 1918. ARNOLD 1908 in Prestonburg,,KY. He was born 1876, and died 28 Dec 1951 in Prestonburg,,KY. 81. Samuel Patton DAVIDSON Jr.
8. Mary Elizabeth Davidson was born ABT. 1901, and died 16 SEP 1931. 10. Virginia Davidson was born 1907. 1870 Bedford County, Tennessee p362b/Dw25/Civil District 21/Shelbyville P.O. 1. William Elbert LLEWELLYN was born 1870 in Tennessee, and died Jan. 29, 1947 in Lauderdale Co., Alabama. 2. Birdie LEWELLEN was born 1866. 3. Archie (Dutch) LEWELLEN was born 1873. 4. Minnie M. LEWELLEN was born 1874. 5. Olly D. LEWELLEN was born 1876. 6. Levi (Leit) LEWELLEN was born 1878.
i. Anna Laura Davidson. She married Charles Henton. ii. Emmett Shaffer was born 15 DEC 1889, and died 17 NOV 1907.
iii. Laura Shaffer was born 22 SEP 1893 in Gentry Co, MO, and died 1 FEB 1972 in Albany, Gentry Co, MO. E. Rucker. He was born 20 SEP 1895 in Gentry Co, MO, and died 9 JUL 1970.
vii. Morna Shaffer was born 25 JUN 1904 in Gentry Co, MO, and died 4 JUL 1926 in Gentry Co, MO. viii. John C. Shaffer was born 25 OCT 1906 in Gentry Co, MO, and died 21 SEP 1924 in Gentry Co, MO. ix. Nellie Shaffer was born 27 JAN 1909, and died 5 DEC 1985.
xi. Paul Shaffer was born 10 APR 1916, and died 1 SEP 1998 in St. Joseph, MO. Alzada Redford. He was born 8 APR 1869 in Gentry Co, MO, and died 27 MAY 1940 in DeKalb, MO. and died ABT 1991 in Hamilton, KS. 1 SEP 1978 in Montrose, CA. 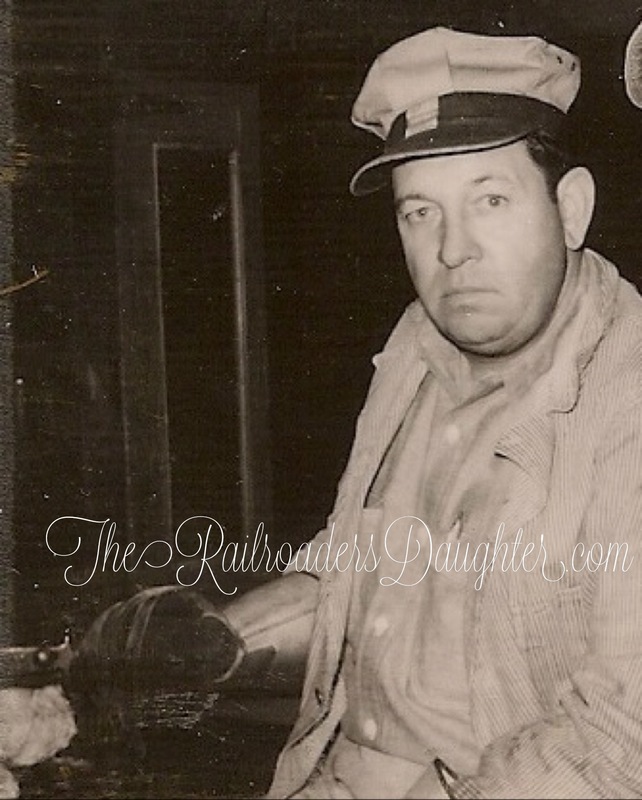 NOV 1960 in Muskogee, OK.
Would you like to post Luther’s family information? Wife & children? My grandfather was Luther Hufford Davidson, Sr.
Hi! Luther was my grandmother’s brother. very impressive and I can definitely use this to fill in some blanks…. Rhonda [Steele] Davidson is Leroy Steele’s sister who I am trying to connect to my Steele Family in Tuscarawas Co.,Ohio. Leroy was B. 1846 Tazewell Co.,VA. 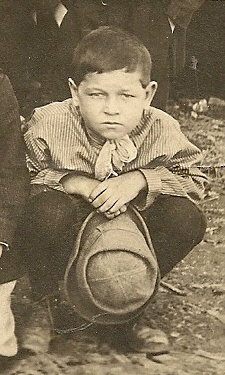 D. in Kootenia,Idaho in 1908. He married Callie Newman and they had three children. John Preston Martin Davidson was my great great grandfather. He had a son Andrew Jackson Davidson, who was raised by JPM’s brother Samuel P. Davidson and Laura May Davidson. I am the granddaughter of Preston Marshall Davidson, born in 1917, died 2007. My great great great grandmother was Elizabeth Davidson Sansom daughter of William Davidson and granddaughter of John Goolman. She and her sister Margaret ‘Peggy’ Davidson Milam moved to what is now Mingo County, WV and Pike County, Kentucky with their husbands John Riley Sansom, Sr and James Milam. I have information on Elizabeth ‘Betty’ Davidson Sansom and John Sansom. Contact me if I can be of help. Brenda: I am seeking proof that Margaret Peggy is daughter of William and gdaughter of John Goolman. Can you help? I have no proof other than a file that another distant relative gave me listing Margaret Ron about 1765 in Tazewell County. Judy, I do have proof. I found James Milam and Peggy listed in a Logan County census. Prior coming across that information, I found on the Milam family website where James Milam married Margaret ‘Peggy’ Davidson. It has been a long time since I found that information, but I should be able to find it in my genealogy papers. I’ll take a look. I think Margaret and Elizabeth came to the Logan, WV (VA) and Pike County, KY area around the same time. I’ll get back to you. Thanks for the reply. DAR is rejecting my supplemental for lack of proof they will accept. 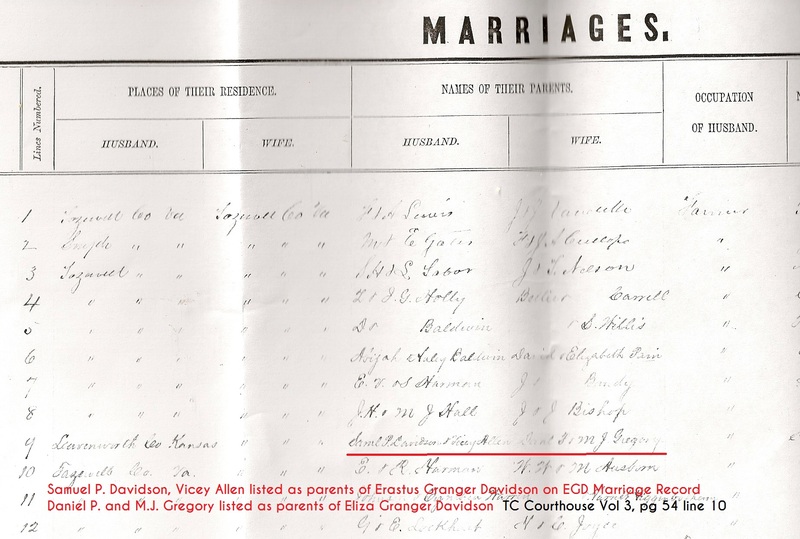 I have marriage record, but need proof of Peggy’s parents like legal documents, etc. I know we are right and recently found Peggy traveled with her sister Elizabeth, who married John Sansom and now am searching for any docs with the two sisters. 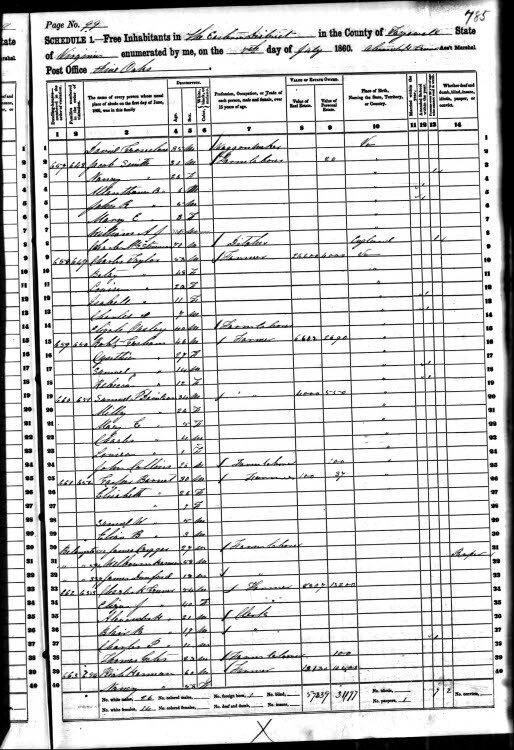 I have Logan 1830 census-no help, and later Pike Co, KY. I will keep searching for the proof. Thanks again for the reply. Judy, I have the marriage licenses for both Margaret and Elizabeth? Elizabeth Davidson and John Sansom’s license is signed by John SANSOM and William Davidson. Married in 1797 in Montgomery County, VA. Margaret and James Milam were married in 1809 in Tazewll, County, VA.
My email address is bjprqa@hotmail.com if you want to email me. How do you go about applying for DAR membership? I think I would like to apply. Best wishes on your search and I will keep looking as well. My Grandparents were Hugh Estel, and Gladys Davidson from Bluefield, WV. My Father was Hugh Elmer Davidson.